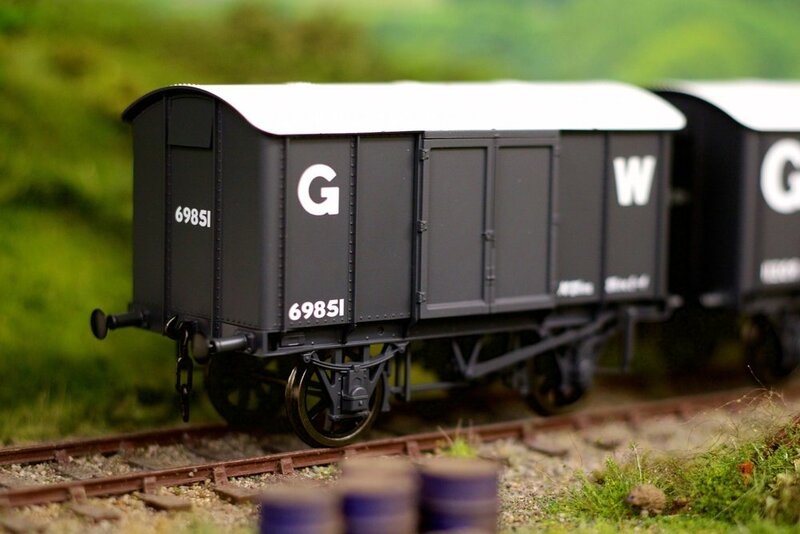 The 'Mink' van is just one of several types of freight wagon built by the Great Western Railway starting from around the 1860s. Although originally made from wood, 'Minks' constructed from iron began to appear from 1886. By 1902 over 4,000 of them were in use all over the GWR and today several examples of different telegraphic codes survive in preservation. Minerva's packing for their wagons consists of an easy to open cardboard box in the manufacturer's colours (red and white) with a large window on the front which shows off the model well. The wagon is held securely in a folded plastic frame. In addition the model is wrapped in plastic sheeting to prevent scuffing. An accessory bag containing the components of the braking system for one side of the wagon is also included. It's fantastic to see that the amount of detail Minerva puts into the locomotives has also been translated over to the rolling stock. Moulded rivets adorn the roof, sides, ends and sole bars. The double doors stand out from the sides of the wagon and feature moulded hinges, latches and padlocks. The axle-boxes continue the high level of detail with fine leaf spring suspension and rivets. The axle-boxes are moulded separately from the rest of the assembly but more on this later. The handbrake assembly is intricate but solidly built. The wagon also comes with sprung buffers and coupling hooks with 3-link chain couplings. The 'Mink' is painted in an accurate Great Western wagon grey with white roof. The decals are printed clear and crisp and really stand out from the grey with no transluscent effect. The model features metal-tyred wheels on pin-point axles. They are free-wheeling on the track whilst, at the same time, the axles allow for minimum horizontal movement through curves. In addition, the separately fitted axle-boxes allow for a small amount of vertical movement over crossings and point frogs minimising bouncing. It would be interesting to see a sprung mechanism for the axle-boxes to further improve the running, however this is a very minor criticism. Otherwise the model runs smoothly and flawlessly. Having experienced the fantastic locos Minerva produces it was inevitable that we would check out their rolling stock. 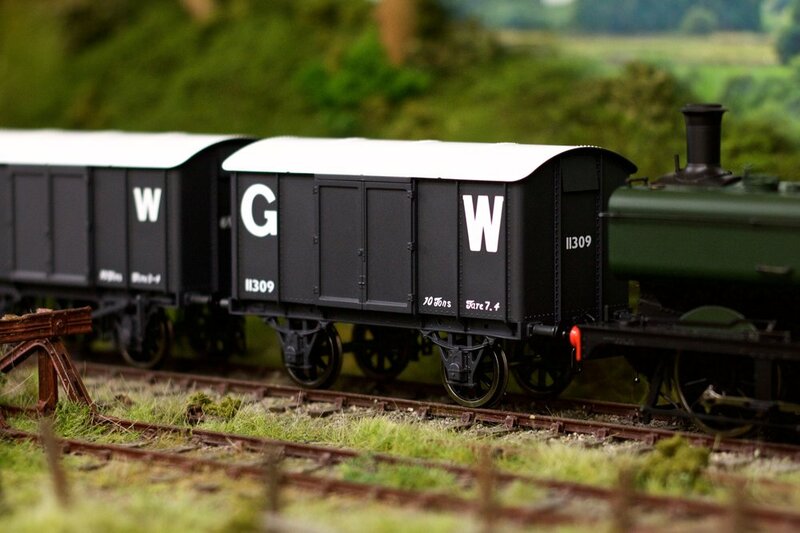 With their sharp moulded detail and smooth free-wheeling axles the 'Minks' are a must have addition for any 0-scale GWR/BR Western Region layout. I just hope it's not too long before we see the first pieces of passenger rolling stock from Minerva.